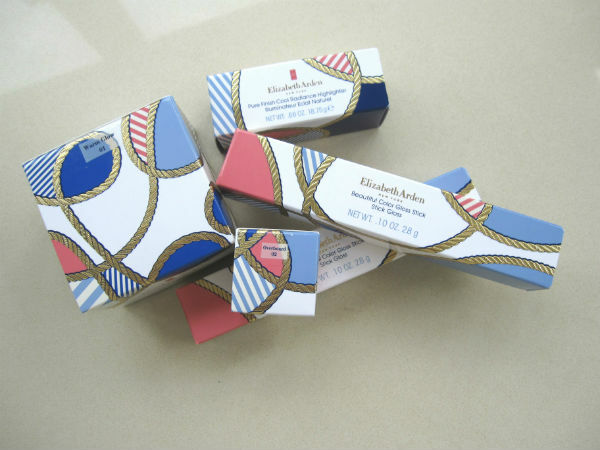 It’s not just Dior that’s added a rope element in their summer designs – Elizabeth Arden Summer 2014 also has a distinctly nautical theme. I really like the touches of pink on the packaging that mark it out as a little different from true nautical style. 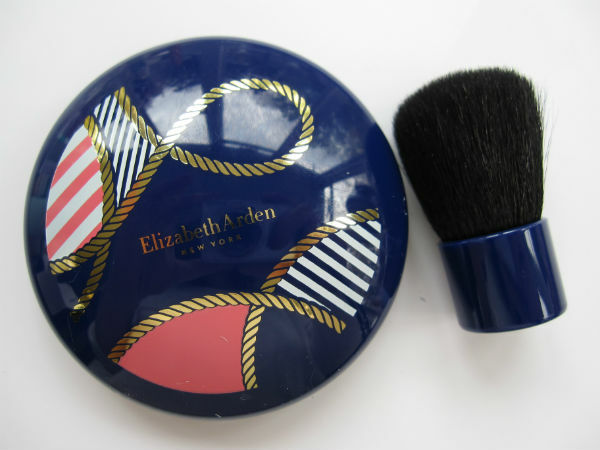 Elizabeth Arden Summer 2014 isn’t a big collection and the stand-out has to be the bronzer that comes with a little kabuki brush. 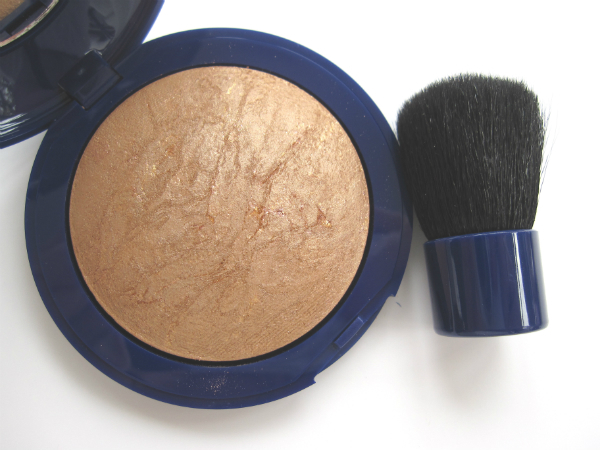 You really will need to like your bronzers on the golden side because this is very much infused with golden tones. Actually, bearing in mind that many of this season’s bronzers are more muted and matte, this is probably going to be perfect if you like a high sheen with your bronzing. 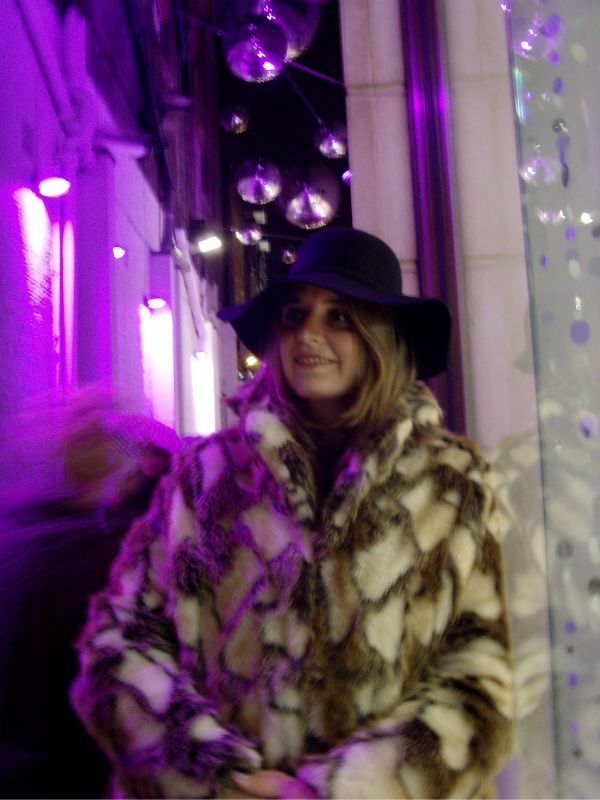 It’s £28. 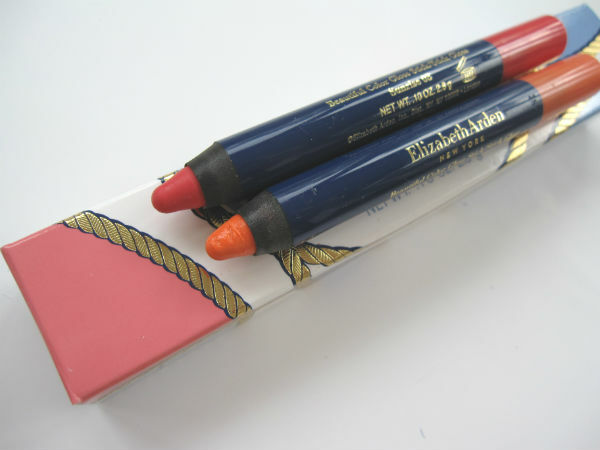 There are two creamy lip crayons,aka Beautiful Color Gloss Sticks, in the Elizabeth Arden Summer 2014 collection; one a sheeny coral shade and the other a popping watermelon pink. Strangely, the coral shade seems to be softer in texture than the pink.. but both give a beautiful, glossy sheen though and need regular top ups (but feel nicely conditioning). They’re £17 each. 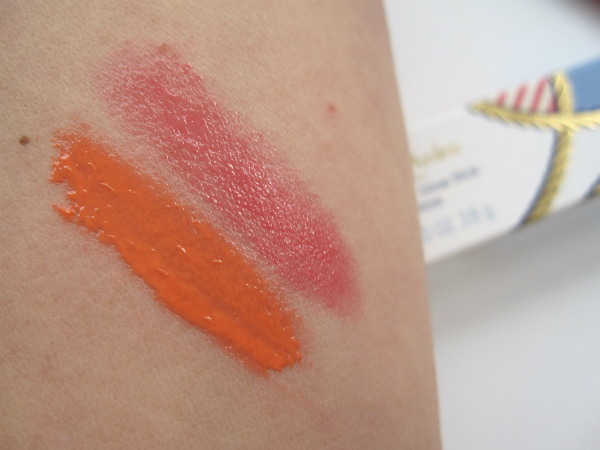 You can see in the swatch that the orange shade is slightly more fluid than the watermelon pink. 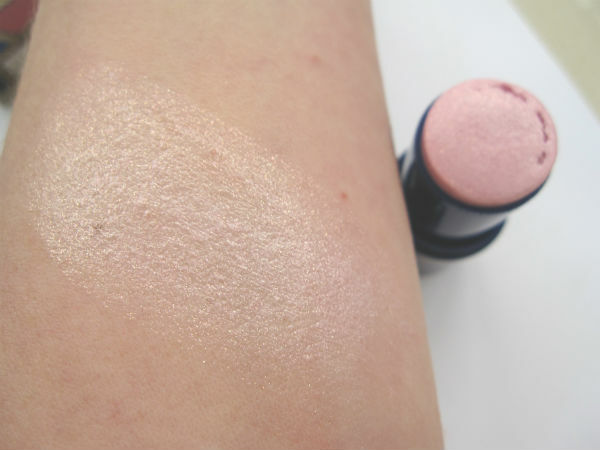 The one thing from the Elizabeth Arden Summer 2014 collection that I’m not keen on is the Pure Finish Cool Radiance Highlighter – it’s just so frosty! With a high water content, it does feel a little cooling on the skin, but personally, I couldn’t live with that colour on my face! It’s £25. 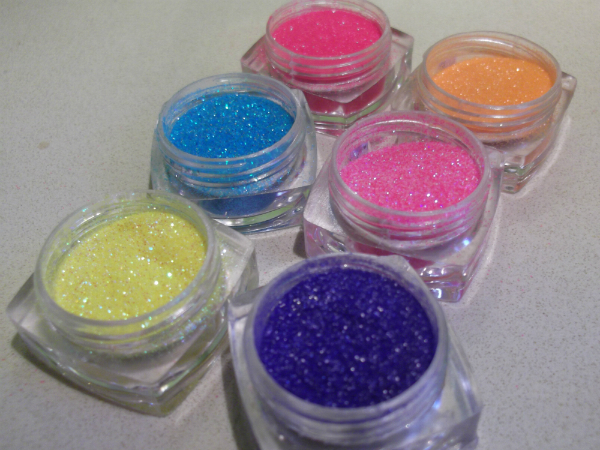 There are also three Pure Finish Cream Eye Shadows – soft and bouncy in texture and a Define and Highlight Eye Pencil in navy and buff but I don’t have them here to show. The collection has already launched into Debenhams. It’s also on line, but I think it’s time that limited collections were given their own place within the beauty sections of sites. 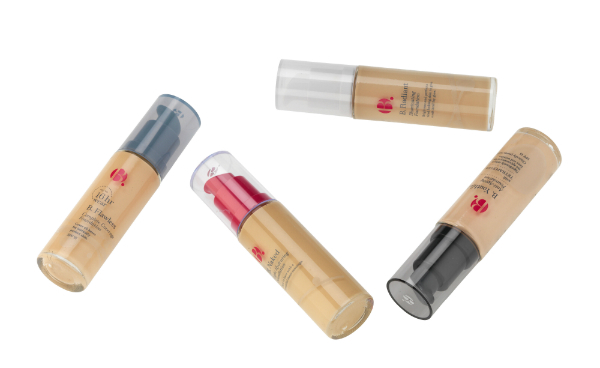 As it is, the Elizabeth Arden Summer collection is muddled in with all the other make-up products which makes it rather hard to find. And to be honest, it loses some impact because it’s not seen as a whole, but rather, fragments. I really love the packaging, however the only thing that I would probably purchase is the orange/coral shade lip crayon. The bronzer looks very similar to Layra Geller’s Honey Dipped baked bronzer. 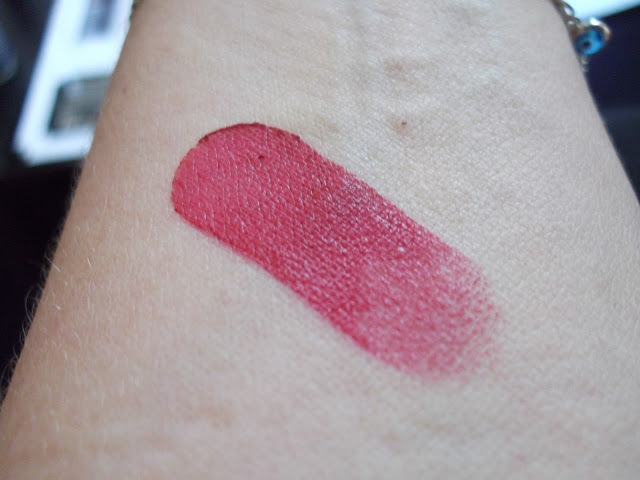 Would love to see a swatch to see if they actually are alike. I saw this at Debenham’s beauty show in London on Thursday. 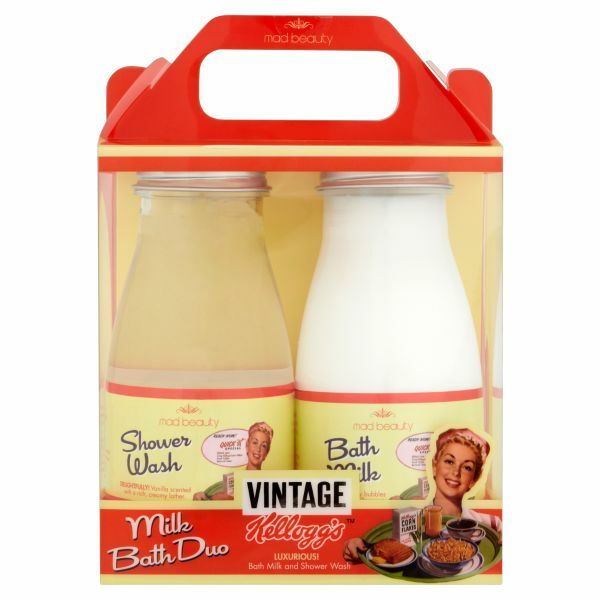 Pretty packaging, but the colours wouldn’t suit me.